The avocado industry was established in New Zealand from several importations dating back to 1907. Several serious pathogens found elsewhere in the world were not imported. A literature review and internet search were conducted to determine what serious avocado pathogens are not present in New Zealand and the potential impact they could have if they established. 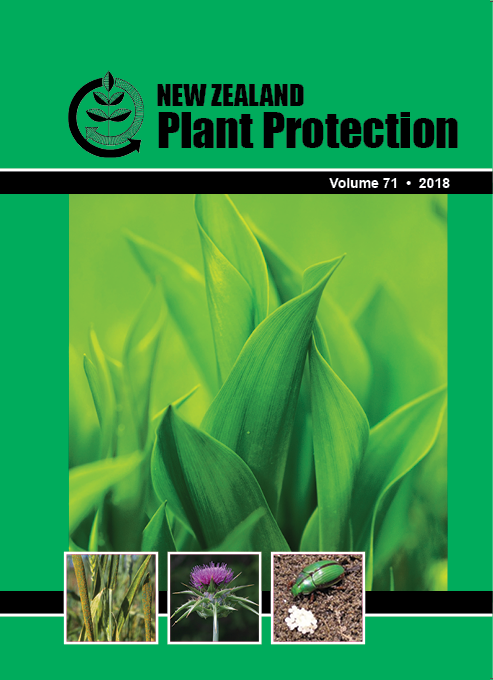 Relevant information was summarised for six pathogens determined to be the most serious of avocado and not known to be present in New Zealand: avocado sunblotch viroid (ASBVd); Pseudocercospora purpurea (cercospora spot); Raffaelea lauricola (laurel wilt); Fusarium sp. (fusarium dieback); Phellinus noxius (brown root rot); and Sphaceloma perseae (avocado scab). Laurel wilt, brown root rot, cercospora spot and fusarium dieback could become established in New Zealand if the climate here becomes warmer but establishment of ASBVd and avocado scab (which are not restricted to hot climates) is more likely.